The 2016 Data Centre Risk Index, published by Cushman & Wakefield (C&W), has moved Iceland to the number one position among 37 countries as the safest location for remote data storage, while the United States dropped from the number 1 to the number 10 position. The reasons Iceland rose to the top of the list are several (as described below under “Methodology”), but what it means for key business decision makers around the globe is unmistakable: Iceland is the best country in the world to secure their data. What it means for the clients of companies like OrangeWebsite, located in Reykjavík, Iceland, is added reassurance that their data is safe and protected. Why Is Remote Data Storage Important? For companies large and small, unplanned downtime is a cost of doing business. That doesn’t mean, of course, that businesses should (or do) passively acquiesce to the eventuality of downtime. In fact, American businesses spend millions implementing strategies to avoid downtime, from moving operations to the cloud or data centres to training employees to ignore suspicious emails and documents. What Is the Cost to Business of Downtime? There’s a good reason businesses spend so much time and money preventing downtime episodes. Downtime means a loss or revenues during the period their systems are down, in addition to lost productivity and damage to their reputations. According to the Data Center Journal, revenue losses due to downtime episodes are increasing exponentially. The average cost per minute of downtime is $7,900, an increase of 41% over a one-year period. The average downtime episode lasts 86 minutes. Doing the math, that’s a cost—on average—of almost $700,000 for every incident of downtime. What Systems Are Most Affected by Downtime? Downtime can affect every aspect of business operations, but the two at the top of the list are business applications and technology services. Business applications are those operations which employees access through the company’s internal server to do their jobs. Technology services include email operations, as well as internet and intranet access. Loss of either business or technology applications impacts productivity—and costs money. The loss of business applications can affect the productivity of every employee, from financial services to marketing to information systems. For example, downtime can bring down CRM operations, making customer communications disorganized at best, or lost entirely at worst. It can also mean the loss of ERP capabilities, eliminating the flow of business information and preventing data-driven decision making. The loss of technology services, like email and internet access, means employees have reduced access to non-mobile phone and fax machines service. It also compromises use of a company’s intranet, which employees rely on to access and share documents. Understanding the risks associated with in-house data storage, an increasing number of businesses are looking at remote data storage options, such as remote data centers and cloud computing. For example, a study by RightScale reports that 93 percent of businesses now use cloud services. In another study, Emergent Research predicted that twice as many small businesses will move all business operations to the cloud within 6 years. Other companies, particularly those which run a wider variety of business applications and have more complex workloads, are opting to store data at remote data centres. Those data centres offer more customized solutions and greater control over their data and equipment, better meeting the needs of large, complex businesses. Cushman & Wakefield’s analysis surveys more than 4,000 clients worldwide to rate the relative security of 37 countries along 10 key factors related to data centre risk. These include factors like ease of doing business, natural disaster, energy security and corporation tax, among others. Each factor is weighted based on its relative importance to potential risk, with natural disaster (15.38%) and political stability (12.82%) at the top of the list, and GDP per capital (5.77%) and corporation tax (6.41%) at the bottom. Conclusion Businesses which are considering moving their data to a data centre, or moving from one data centre to another, should carefully weigh the conclusions of the most recent Data Centre Risk Index, and especially the particular factors which informed those conclusions. Founded in 2006 and located in Reykjavík, OrangeWebsite is one of Iceland’s leading web hosting companies, a 100% green company offering top-quality and secure web hosting solutions for clients around the globe. Their servers are in Iceland, and all of their data is stored and protected in Iceland. To learn more about the ways we can keep your company’s data safe and secure, contact us today. 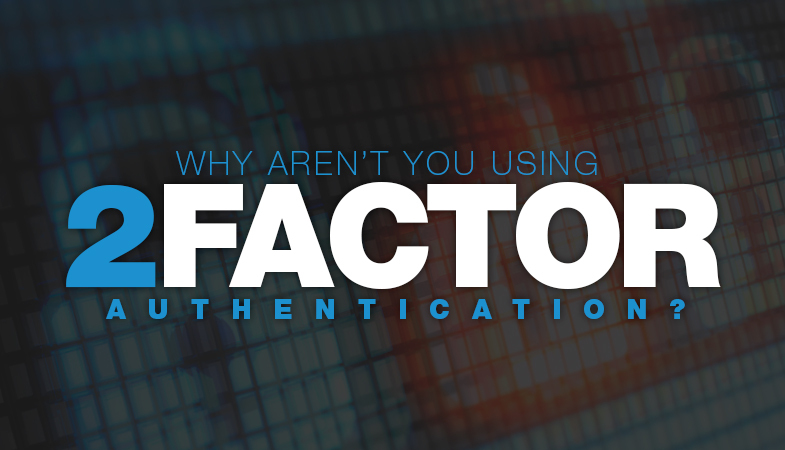 What Is Two Factor Authentication (2FA), And How Does It Benefit Companies? Identity theft, hacking and phishing attacks are all on the rise, and costing individuals and businesses billions each year. A successful hacking attack typically costs the businesses which are its victims more than money. There is the additional expense, more difficult to quantify, in damaged reputation, as customers lose confidence in the ability of the company to keep their data private and secure. According to a recent study by Lloyd’s of London, global hacking attacks cost businesses more than $400 billion each year. Those costs are multiplied by the expensive measures companies take to ensure the security of their data. Each year, for example, companies spend more than $75 billion each year on cybersecurity. Until recently, those attacks were targeted primarily against multi-national corporations, but increasingly cybercriminals are going after small businesses. In 2013, 44% of small businesses reported at least one hacking attack, according to the National Small Business Association. While large corporations can absorb the losses associated with a hacking or phishing attack, for small businesses, such attacks can be devastating in terms of both financial losses and damage to their reputation. It’s not only businesses which are the victims of cybercrimes. In 2014, more than 17 million individuals were victims of identity theft, according to the US Bureau of Justice, mainly through the hacking of their credit or debit card accounts. According to Business Insider, identity theft cost individuals almost $25 billion in 2013, $10 billion more than property theft. The increase in recent years of both hacking attacks on business and identify theft aimed at individuals has many companies wondering if there is anything they can do to protect their data. Fortunately, there is a way for businesses to protect the privacy of their customers and the security of their personal information. Two factor authentication, the latest advancement in information security systems, makes it more difficult for thieves to access customer data. Most security systems are based on customers verifying their identity by providing a password and User ID. Two factor authentication provides an added layer of security by requiring system users to enter additional information which only the user has, such as something only the user knows, like a PIN or answer to a security question; something they have in their possession, like a mobile phone or ID card; or a physical characteristic, like their fingerprint or your voice. Improved security: passwords and user ID numbers are relatively easy for cyber thieves to access. Many people, for example, are afraid of forgetting their passwords and write them down in one or more places which thieves can find. Two factor authentication makes it more difficult for thieves to steal customer data with features such as one time passwords (OTPs) which are good for only one login, information which only the user has, or personal characteristics like fingerprints which thieves can’t duplicate. Customer satisfaction: customers are naturally attracted to businesses which are better able to secure their data. When they see that a business requires additional security information, they feel protected, and feel more positively about that business for ensuring their information is secure. Those positive feelings add to customer trust and boost customer retention. Increased worker productivity: because two factor authentication makes data more secure, companies are more confident about permitting their employees to work remotely. According to the Harvard Business Review, when Chinese travel website, Ctrip, allowed its employees to work remotely from home, their productivity increased on average by more than 13% and the company was able to save almost $2,000 per employee while also increasing employee retention. Reduced operating costs: two factor authentication makes businesses more efficient and reduces operating costs. For example, because there are fewer password resets, customers don’t need to call help desks as frequently. In addition, companies spend less time contacting customers about suspicious activity on their accounts. Finally, companies spend less money on expensive fraud review systems. Companies which fail to protect the personal information of their customers lose both money and reputation. For smaller businesses, those losses can be catastrophic. Fortunately, there are forward thinking web hosting providers which have developed innovative approaches to help businesses with their data and privacy concerns. Founded in 2006, OrangeWebsite is a recognized industry leader in providing safe and secure web hosting services. Our two factor authentication service includes a special one-time passcode, sent to users through SMS, which users submit to ensure a secure login. The cost is an annual fee of just €94.80. If you would like to know more about the ways we can make your website safer and more secure, or would like more information about our two factor authentication services, contact us today. 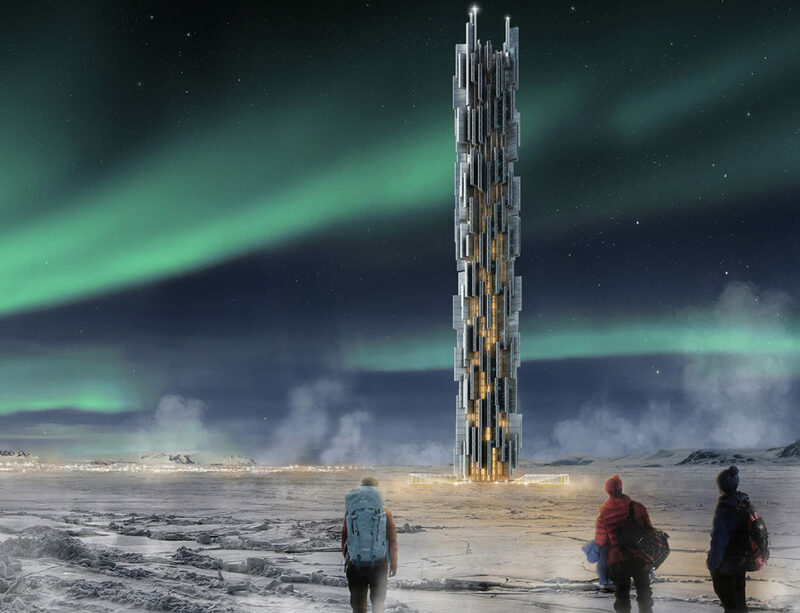 Democracy is evolving, and Iceland is leading the change. As vigorous proponents of radical transparency, freedom of expression and speech, publishing process protections, and rights to privacy, Iceland is developing the first political consensus that comes from the collective intelligence of the people. Through the foundations provided by the Icelandic Modern Media Initiative, the country is developing into a safe haven for those working toward international freedom of information. The people of Iceland are developing a culture of collaboration and consensus decision making, and enjoying the benefits of an evolved democracy: transparency and a free press, whistleblower protections, and freedom of speech, expression, privacy, and information. When economic and social crises threaten the stability of a free society, several options are available to the people. For some, the easy way out of the crisis is to let the government handle the problem. And the easiest way for governments to manage problems is to exert more control. When control is seen as a paternalistic type of affection and concern, a tightening fist can be rationalized or ignored by a population that has abdicated the responsibilities and the work of democracy. When government control is couched in terms of threats to the national security, either from political, military, or financial crises, civil rights, especially rights to a free press and freedom of speech and privacy, are often the first to go. Iceland didn’t take the easy way out of the 2008 financial crisis. Instead, they empowered the collective voice, experience, and intelligence of the people to lay a new path forward. By crowdsourcing their ideas and legislation, their vision of the future represents the beliefs and values of the nation. Several important aspects of the legislation and the continuing work of advocating for it are critically important. Unequal access to justice means that for many citizens of a democracy, they cannot access the resources needed to defend themselves. In this climate of inequity, the judicial systems becomes one with the power to punish, a big stick to silence those outside the majority. The threat of action against those without resources can be significant enough to silence free speech. Source protection and limiting prior restraint are also powerful judicial and legislative protections that are critical to a free press. Coercion by anyone with power and something to hide–a government agency, a financial organization, a publisher or newspaper, a telecommunications agency– means that threats of various kinds can be applied to disrupt the process of a free press. Protecting journalists, bloggers, and media such as newspaper publishers from the threat of these types of action means Iceland has a media that is as close as humans can come to the radical transparency and free press the collective citizenship desires. OrangeWebsite provides several business structures that allow journalists and bloggers this free press protection, including anonymous accounts and a range of payment options, including bitcoin and World Coin. Whistleblower protections are also a critical part of the Modern Media Initiative. In an evolved democracy, aggressive nationalism and militarism are never used to justify silencing the population. Threats to the nation and national security concerns are not blunt weapons to shut down the press or free speech. And those who bring abuses of power into the open are not tried and jailed for espionage. Enlightened democracies are seen as places of light and opportunity, freedom, and hope to the people of the world who live under the threat of oppression. That light, and the hope that comes from knowing there are better places in the world, places where people are treated with respect and dignity, where they have the right to voice an opinion, give those who are living in darkness and oppression something to hope for, a place to dream about. For people working in those countries trying to bring about change, the work of enlightened democracies–the legislative and judicial framework–provides a blueprint for changing their own political systems. When those democracies that have always held the light of hope for the world descend into chaos, and the threat of fascism rises again, with censorship and racism, aggressive militarism and nationalistic rhetoric overtaking the collective voice of a people, those who believe in the basic tenets of democracy are silenced. First the whistleblowers are silenced as threats to national security. Then the press is censored to protect the population. As government control over the national narrative and the human voice of the people tightens like a fist around the throat, freedom of speech and the freedom to dissent is cut off. And the light of hope for the world is extinguished. Enlightened democracies have the power to give that light and hope to the world. They do not exist in isolation, solely for the benefit of their own people. 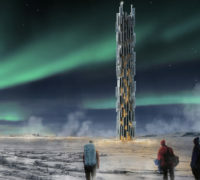 Iceland is working on the evolution of their enlightened democracy, when much of the rest of the world is seeking to consolidate power and control the voice of their people. The International Modern Media Institute is an advocacy group who are attempting to protect and expand the protections and the radical transparency called for in the original initiative. Closely tied to a political party, the group nevertheless functions as an international watchdog for issues related to freedom of expression, privacy, and a free press. They are advocating an agenda where Iceland serves as a safe haven with the legal and judicial framework to protect freedom of expression to the greatest extent it exists anywhere in the world. OrangeWebsite provides a number of services that directly embody the privacy and freedom in the new legislation, such as access to virtual private and dedicated servers in a country protected by these laws. Services such as these, with Icelandic state protections, are unique in the world. Using the collective power and will of a people to bring about state-sponsored human rights protections is a revolutionary idea–and it is a revolution that is changing the world. 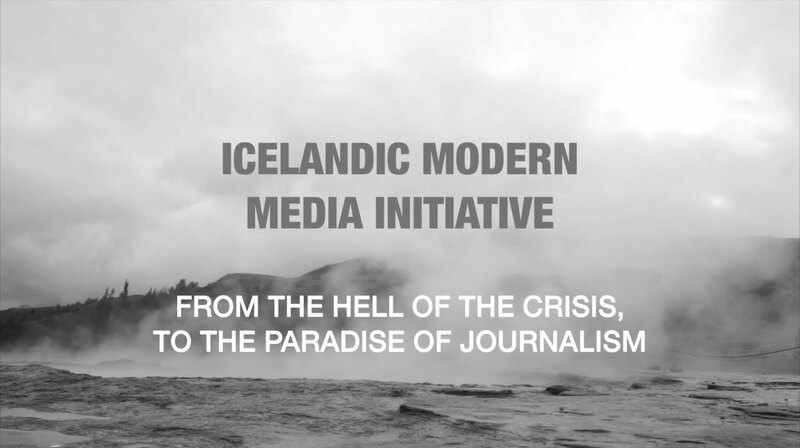 For more information on the Icelandic Modern Media Initiative, please contact us.